It’s been a while since I came here and recapped my weekend. I might be rusty but here goes. On both Thursday and Friday I went out for sushi. Thursday I went with my bestie Alicia after work and on Friday night I went with my other bestie Nads and a mutual friend of ours. Man I needed me a good sushi fix after last week and the crap storm that was work. I mean … sushi fixes everything amiright? And wine. 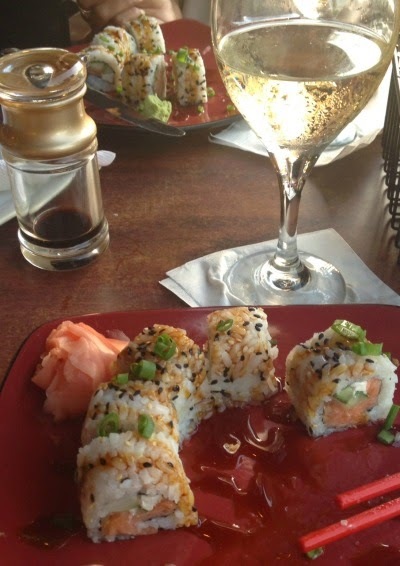 Sushi and wine. I was too busy eating, so I only have a pic from Thursday’s sushi-ness. I never claimed to be Betty Croker! Saturday I spent ALLLLL day doing work. And I mean ALL day. I was on the phone with my boss from 6 am and never completely finished working until 6 pm. Sunday I spent working on my thesis proposal due this week!! #yikes. So yes, the actual weekend was a complete drag, but the sushi and wine from Thursday and Friday kept me in good spirits. Oh and this .. this helped keep me in good spirits also! So good I did an actual photoshoot for the bag! 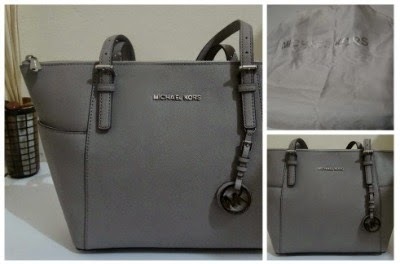 Michael Kors you give me the happies! Because this post is longer than my average Monday post, I’m slapping in a picture of my Christmas Kangaroo and my empty bottles of wine. 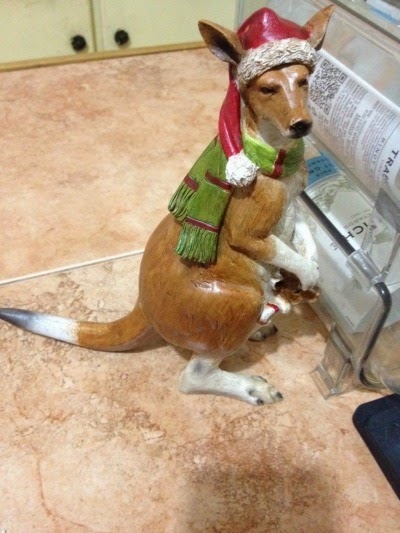 I picked this up in Australia and this is the extent of the Christmas decorations in my apartment. I’m really rocking the Christmas over here! He’s cute isnt he?? I think so! I will say that the same male bestie from up there stated and I quote “that animal is so ugly”. Maybe I will burn his brownies on purpose …..